Your art is beautiful!! I only wish I had your talent!! I know you are going to do great on MMP. I love looking at all the pretty things in your shop, you do such beautiful work, now if I could just get my stuff together and get back to painting, my ETSY shop is just about empty. Congradulations on your new shop. I always love looking at your art work. It is so pretty. You are so talented. I will try to get back to popping in and leaving you a comment. I am catching up on reading blogs tonight and making a comment or two along the way. We have actually had two days without rain, but it is suppose to come back after midnight. Next week we are suppose to be in the 80's we go from extreme to the other. You have a wonderful day. Your Missouri Friend. Congratulations, dear Celestina Marie, on your new shop. Love all the pretty things you have shown in this post. What a great name Make Mine Pink! I wish you all the very best and have fun. I look forward to coming over to visit. Oh, Celeste, wishing you much success! Your work is always so delicate and beautifully done. I hope many buyers find your new shop! Good Morning Dear one, Congrats on opening your boutique. 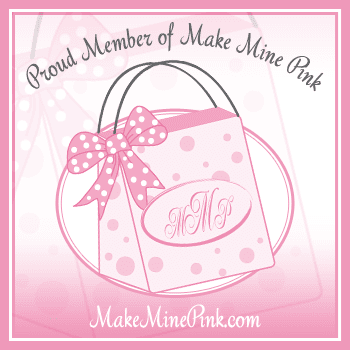 I have browsed Make Mine Pink at times. I will certainly visit your shop! Thank you for your sweet thoughts. Clarence is doing fair. It has been difficult to watch a man who is always upbeat, happy, and carefree, to be depressed, in pain and discouraged. My stomach is queasy all the time. CONGRATULATIONS, CELESTINA MARIE, ON THE GRAND OPENING OF YOUR MMP SHOP. I WILL GO THERE NEXT AND LOOK. EVERYTHING LOOKS SO PRETTY AND I KNOW THE LORD WILL BLESS YOU AND YOUR PRECIOUS MOTHER IS WATCHING OVER YOU, SO VERY PROUD. Good Luck over at MMP. Great group of friendly and helpful ladies over there! Hello Friend! I love your blog! Congratulations on your store! Much success!Hugs!Rosemary!!! Best wishes on your Pink Boutique!! I know it will be a grand success. All your work is so lovely! I will keep your friend Ginny & hubby in my prayers. Such a painful ordeal to go through for them. I can't believe it's been a yr ago that I met you at your gorgeous home! I will never forget how you welcomed us with open arms!! Hello Celeste, I wish you the best of luck with your new shop. Your work is fabulous, I will go and look at your new website right now. What a perfect match. Congratulations, you will be perfect for Make Mine Pink. I will have to pop over there now. I'm so happy you popped over...I soooo love visitors. :-) I was just at your blog the other day....I think I got distracted and forgot to leave a message...I'm so sorry about that. Your roses are over the top YUMMY.....I have fought and fought to try to do a decent rose. Yours look effortless....LOVE them. What gorgeous pretties you've created! Your handpainted roses are the sweetest! I must go and check out your offerings! Hi Celeste, best wishes for success on MMP, I think your work should go over well there. I used to belong many moons ago. Have a great weekend. Happy Pink Saturday my sweet friend. You always offer up so warm encouragement to me and I pray I do the same for you. May God bless you hands with Make Mine Pink. I'm soooo grateful we have a good relationship. Not all artisans do. I love your work and know it comes straight from the Father. The song Beauty & the Beast will always remind me of my girl. She was always singing it when she was little...sniff. Such beautiful new pretties, my sweet friend! You know how much I love the bride platter and the sweet bride and groom in front of it!! Thanks for the info about my little vintage dish ~ an olive dish! I've got you entered in my giveaway ~ thanks so much for entering. I'll enter yours tomorrow as I'm off for bed now or I'll never make it up in time for church!